I’m sure we’re all a little tired of white smoke and Latin right now, but bear with me for a few ruminations on things Popish that transcend a bunch of old men in long black dresses getting together in a prettily painted clubhouse and selecting a new chief. The fellow who gets to wear the smart red pumps of the Fisherman (they’re the descendants of the shoes of Peter, the first “Fisherman,” and they’re probably made by Ferragamo these days) is now known – among things – as the Pontiff. This derives from his role as Pontifex, the builder of the bridge between God and man. I like the idea of bridge-building as one’s spiritual duty – the notion of creating connection points that span gaps and permitting movement between two places. We certainly need more bridge-building. 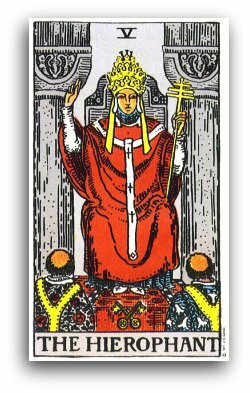 As a Tarot type of girl, the Papal folderol – or Popepourri, as I was calling it for awhile (makes me giggle every time) – put me in mind of the Hierophant card. In the oldest decks this card was called The Pope, and the figure was depicted in Popish regalia (there’s another card that used to be called the Papessa – the Female Pope – and SHE was all tricked out in Papal splendour too, but that’s another essay. Or three). Among other things, the card represented how spiritual power was wielded in the earthly realm, which was as much of a complication during the Renaissance – when the Tarot developed – as it is now. These days the card is now more commonly known as the Hierophant, the High Priest, although the figure still wears Papal drag, and therein lies a problem. The Hierophant was the Conductor of the Mysteries of Elysium, which is most definitely a bridge between the spiritual and material realms. Both the Pope and the High Priest are supposed to serve this calling. However, the Catholic Church has made such a muddle of its duties that many people when confronted by the image of the Hierophant are so put off by the drag that they cannot accept the messages the card brings, which include linking the spiritual and temporal realms, accessing the inner depths through the outer forms of ritual and spiritual discipline. In other words, bridge-building. As we turn towards the Vernal Equinox, and Spring begins seductively wafting our way, thoughts of cleansing and renewal trickle into our consciousness along with the lure of chocolate bunnies and marshmallow peeps. 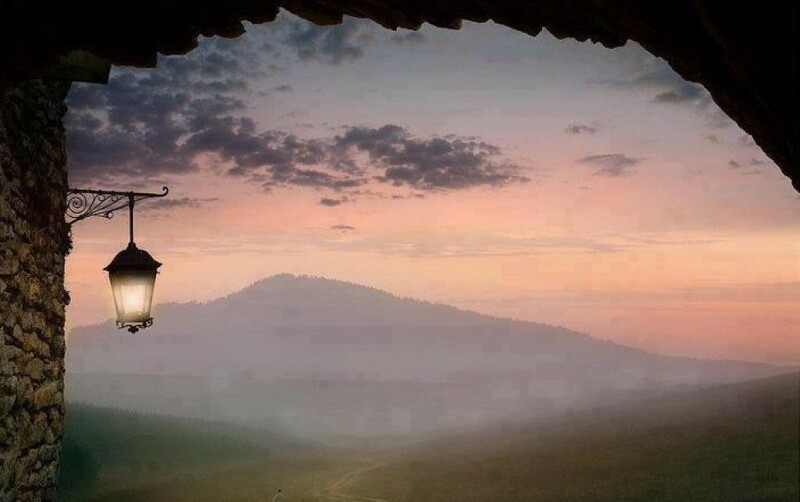 Perhaps we should take this opportunity to do a little spiritual housekeeping along with the Spring cleaning. It might not be a bad time to look at where bridges need to be built – or refurbished. Where do you need to reach out, make a connection, span a gap? No white smoke required or red skullcaps required. Excellent point. Bridge building…more than a man yet less than a God. I like it!